Active lines in June decreased by 2.2 million – NCC – Royal Times of Nigeria. 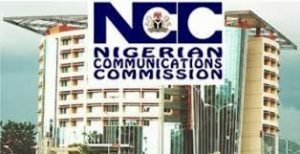 The Nigerian Communication Commission (NCC) says the number of active lines has decreased from about 144.9 million in May to 142. 6 million in June. This was made this known in NCC’s monthly Subscriber/Operator Data made available on its Website. NCC said that the figure showed a decrease by 2.289 million subscribers in June. The Code Division Multiple Access (CDMA) had 217,566 users in June same with the result in May. NCC report said that the Fixed Wire Less for June was 142,316 and 142,496, also recording a decrease of 180. According to the report, Voice Over Internet Protocol (VOIP) for June was 49,870, while in May it was 46,348 recording an increase of 3,522. Teledensity for May was 102.19 and June 103.82 recording a decrease in teledensity. Teledensity is the number of telephone connections for every hundred individuals living within an area. It varies widely across the nations. NCC said that the number of connected lines in June was 236.8 million and for June it was 238. 7 million, showing a decrease of 1. 8 million. The number of fixed wire/wireless for June was 342,011as against 341,574 in May recording an increase of 437. According to NCC, Voice Over Internet Protocol (VOIP) for June was 177,406 while that of May was 164,861 with an increase 1,254.5.